The Tesla Gold Series Disc comes in a full alloy case that features a rechargeable battery. The magnetic charging cable is provided and will latch onto the charging points once it comes into close range of the special magnetic USB cable. Children can wear this Disc to school and out for activities as it is water resistant and has passed the drop test from 1.2m and submersion in 30cm of water for 30 mins. The Disc is also supplied with a rubber ring which can be used to hang the Disc around your neck. Using the cord or chain of your choice the Disc can become a beautiful pendant. Thank you so much for the message, and sorry for the delayed response. The Disc falling out is an issue that I personally had happen to me too! I realized what the problem was. I was wearing the wristband too tightly. When it is tight, it pulls the rubber gasket around the Disc out of shape. Then when my wrist would bend, it would push it right out! After that happened, I started to wear it more loosely and I never had that happen again. So if you loosen it up a notch, you probably won't have that problem again. Please keep me posted if you have any other issues with the Disc. I am always here to help. The DiscI am loving my disc & have definitely noticed a change for the better in my health. I do wish there was another way to wear it besides a pendant or “watch”. 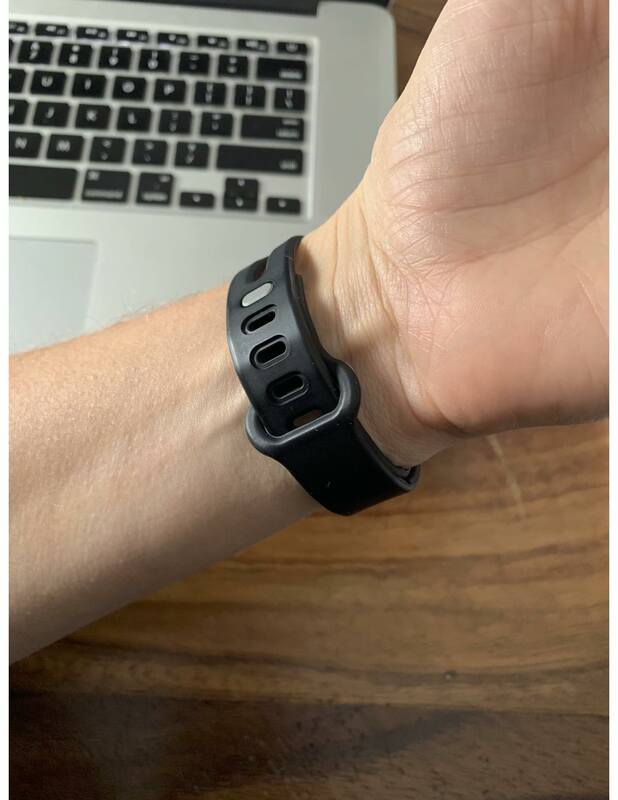 The Rubber wrist band is quite cheap and ive had the disc fall out of it at least 5 times leaving me terrified that $300 just went down the drain. Luckily I have been able to find the disc each time!! Love the disc, just be aware that it may fall out of the rubber ring. Energy and Injury RepairThe disk device has shown interesting health changes for me. One which was a major success, was a reoccurring Calf muscle tear. Training in Trialthon's a few years ago, I kept getting minor calf kept tears. Stretching before and after, warms up, gentle starts, changing shoes, nothing worked. Put it down to mineral imbalance and old age. After using the disk device, I noticed my energy was elevated on hard shifts flying nights. I'm a pilot. Anyway, I decided to sleep with the disk bandaged to my troublesome calve. 2 nights later, the tenderness was gone. I decided to test out the calf again gently. No problem. I upped the intensity again on hill work. Again no tear. I'm doing beach runs ( hard on the calfs) still OK. The other effect, was as I mentioned on really challenging nights flying, there was a noticeable consistent improvement over a series of shifts. I'm still monitoring it, but the signs are promising. Love the disc!I’ve been looking for something to mitigate all the WiFi and radiation I’m exposed to all day long as a flight attendant. I am definitely less tired and am sleeping so much better at night!